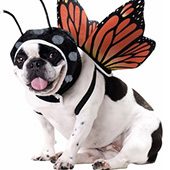 With Halloween just around the corner, the window for finding the perfect costume for your pet is closing quickly. Shopping for takes time and research, so if you want to have your pet's costume in time for the holidays then you need to know exactly what you're looking for as soon as possible. 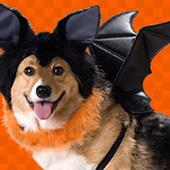 To aid your search for the perfect pet costume, EntirelyPets has assembled this short guide of important considerations to have in mind while shopping for the perfect costume for your pet. 1. How comfortable is your pet? Your pet will be wearing their costume throughout the night, so it’s important that he feels comfortable when wearing it. If your dog or cat is in a costume that pokes or prods, don't expect them to wear it throughout the night’s festivities. 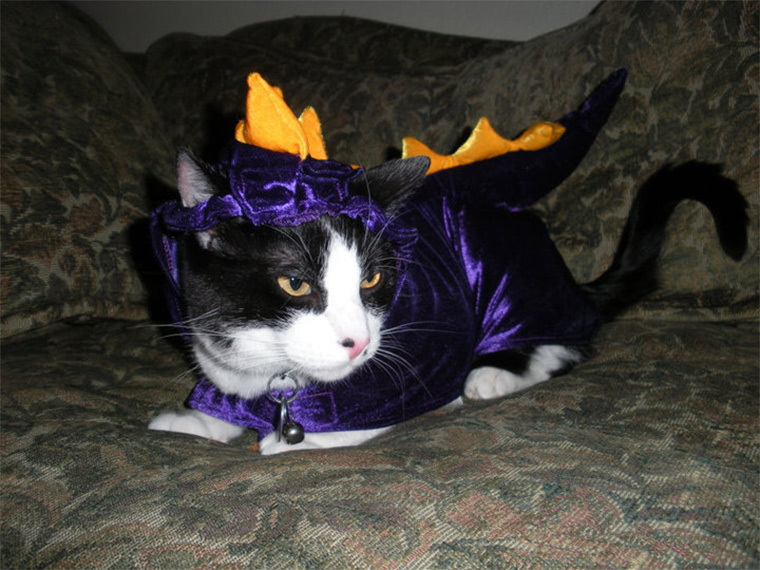 Pets can easily shake off a costume if they find it to be uncomfortable or restricting, so make sure that your pet's costume allows him to move freely. Every pet is different and handles costumes in a different way. 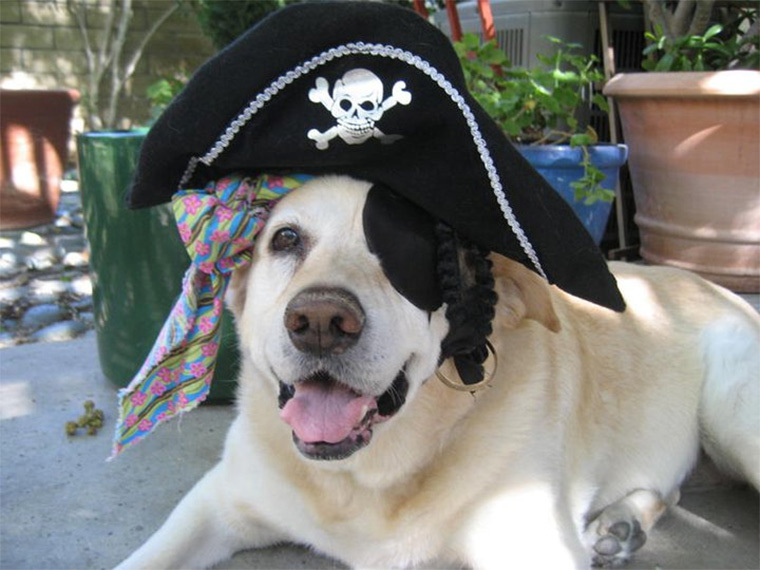 Some pets may love to dress up, while others may refuse to go near a costume or any attire that restricts their movement. If your pet is averse to dressing up, you might want to consider a simple costume that is non-restrictive and easy to put on your pet. For more information on getting your pet to love their costume, check out our other guide for getting your pet used to a new costume here. 2. How big is your pet? Pets come in all shapes and sizes and nothing is more disappointing then discovering you bought a costume that doesn’t fit your pet. 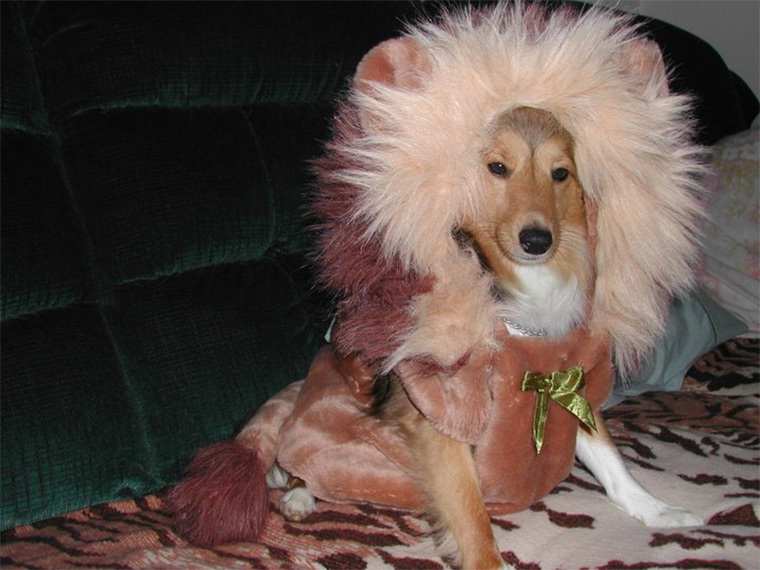 To ensure that your pet's costume fits like a glove, measure your pet before you go shopping for costumes. 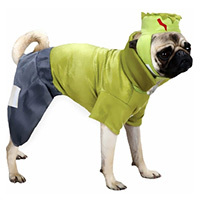 Costumes have reliable sizing information that will help you find the perfect size for any pet so long as your follow their measuring guides. 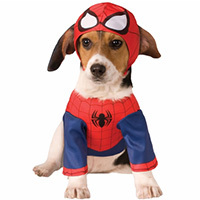 Most costumes come in up to 5 different sizes to ensure that it is available in size to fit any dog. 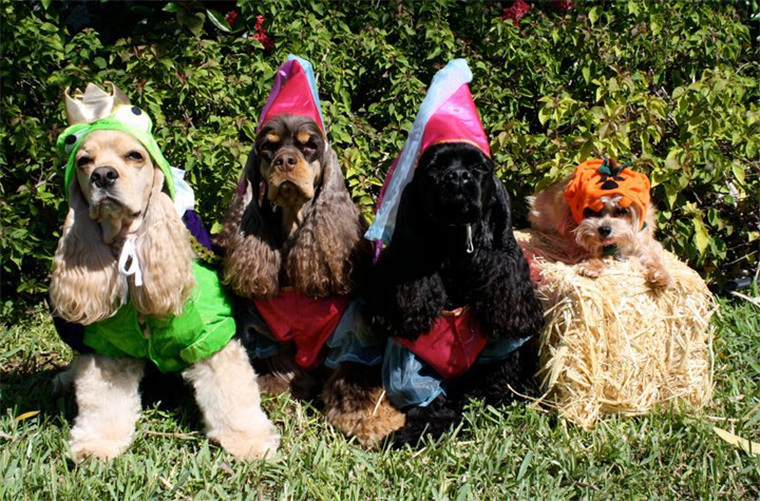 Some costumes only come in larger sizes, or smaller sizes- so make sure that you find a costume that is available in your pooch’s size. Once your dog seems comfortable around the costume, drape the costume over him for a few seconds while rewarding him with a treat. Don't strap anything on yet- just get him used to the idea of the costume being placed atop him. Repeat this step several times, putting it on and taking it off, to help him learn to like the costume before moving on. Be sure to praise him with some encouragement and treats intermittently as you extend the periods in which the costume is atop your dog. Do you know what you're going to be for Halloween? 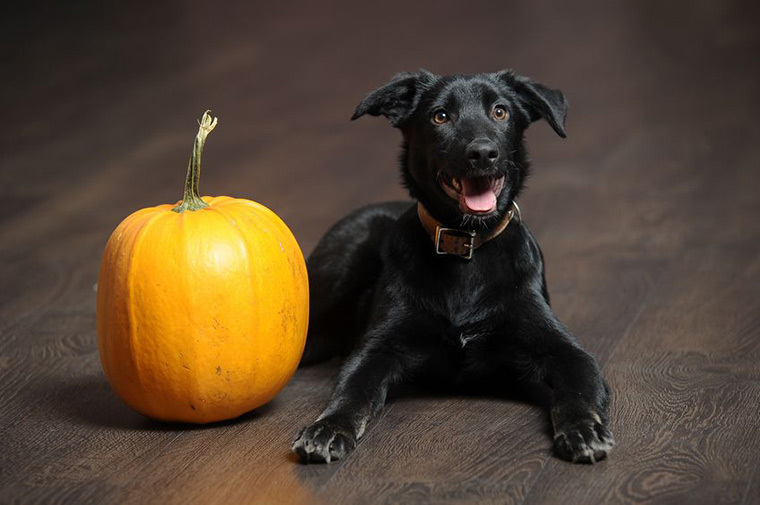 Many pet owners take their dogs with them to Halloween parties or out trick-or-treating- and nothing looks better than when both costumes match a certain theme. If your plan is to go as a police officer, then why not have your dog dress up as a prisoner? There are a wide variety of costumes that match common Halloween costumes that humans wear such as firefighters, cheerleaders, and more. When selecting a Halloween costume, the perpetual dichotomy from which we must all succumb is the selection between fear and joy: to select a funny costume or a “scary” one. 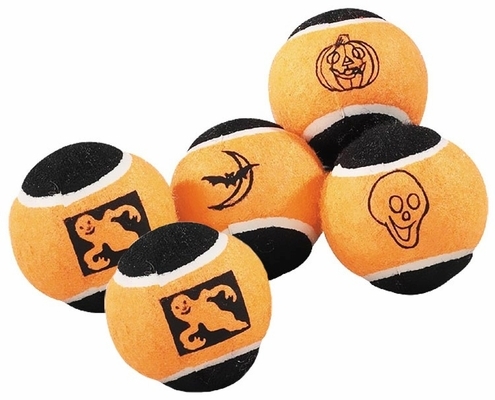 Halloween is traditionally a time celebrating fear and mischief, and our scary outfits remind us of the haunted houses and scary movies that define this unique holiday; however, with each passing year it seems that Halloween is moving towards cute or funny costumes. 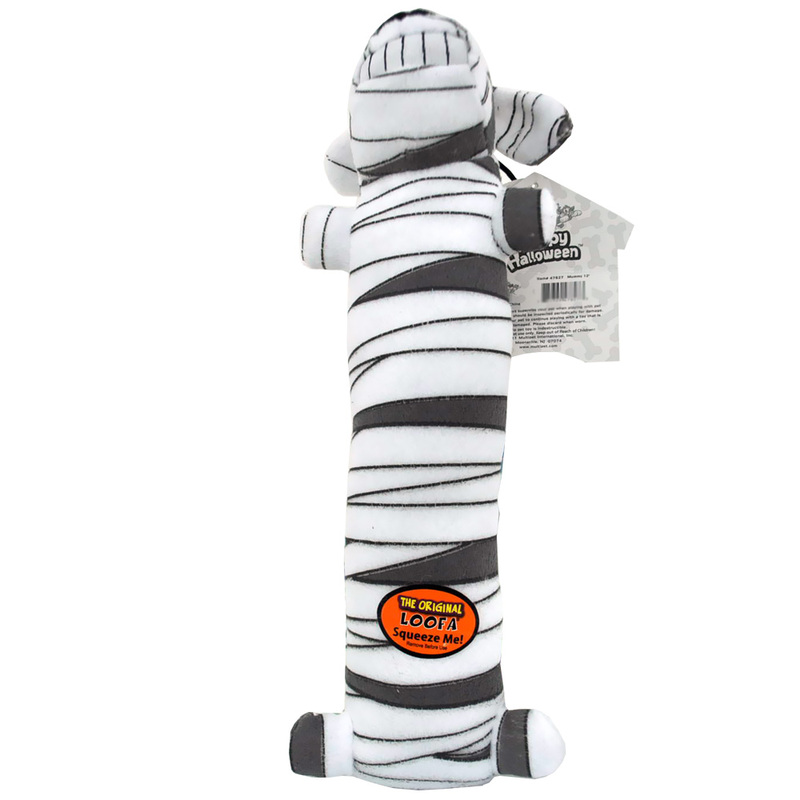 Whether you are looking to give your pet a funny look or a scary one, there are plenty of options to choose from. Funny costumes vary from "Weiner" dogs to clowns. But if you’re a traditionalist, you can still find a variety of scary costumes including both classics, like Frankenstein's monster, and innovative terrors like a giant spider. With these factors in mind, we know that the right costume for your pet is out there somewhere. 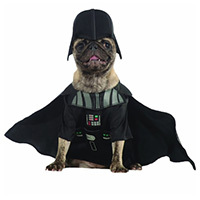 For a more comprehensive list of costumes, check out the costume section of our Halloween store for more than 50 unique costumes that you and your pet will love. 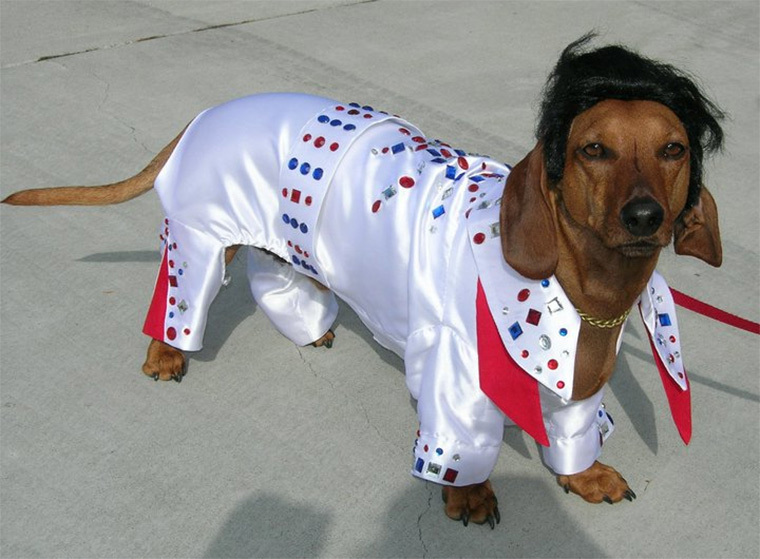 We hope that you have a fun time finding the perfect costume for your pet. 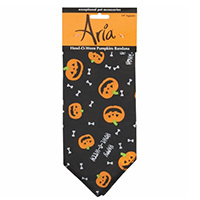 Lastly, we'd like to wish you and your pet a Happy Howl-O-Ween!